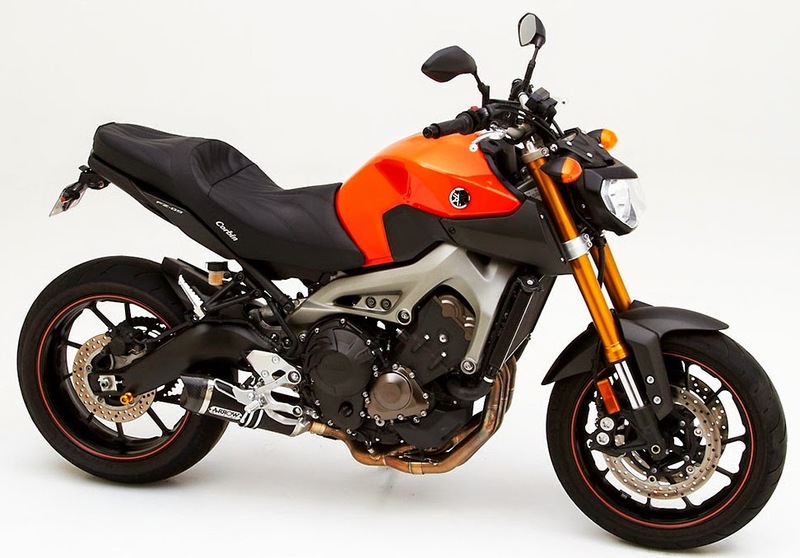 Among the new offerings from Corbin are TWO seat models for Yamaha's new FZ-09. There's a a solo Gunfighter model and a Gunfighter & Lady style for two up sport touring comfort. 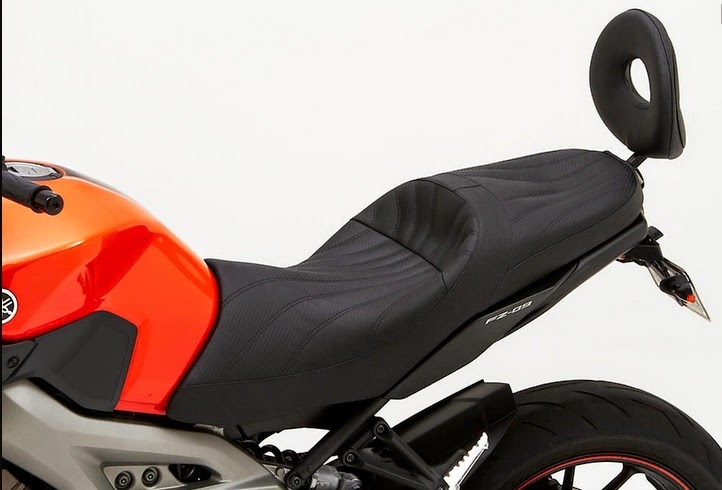 Both provide excellent rider comfort and clean, integrated looks. The Gunfighter is for for solo riding and the Gunfighter & Lady for comfortable two-up riding. Ducati announces the brand new Monster 821, a mid-size entry for the third generation of the iconic naked model and the latest chapter in the Bologna-built motorcycle’s famous story. Underlining Ducati’s strong association to the Bologna region, the company has chosen to release the first images of the new model portrayed in typical Bolognese ambience. Following the successful unveiling of the new generation Monster 1200 at the Milan International Motorcycle show in November, Ducati now introduces the Monster 821, a mid-size version of the exciting new model and the latest entry to the world of Monster. 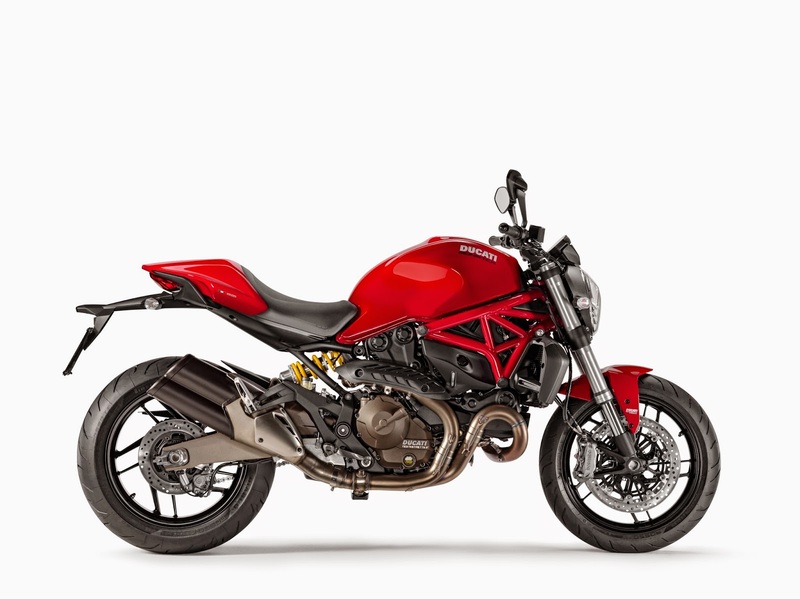 Having delivered over 290,000 Monsters since the original concept more than 20 years ago, the essential new model maintains its stylish character using the new chassis and muscular styling of the Monster 1200, designed with premium components fully integrated with Ducati’s latest technologies. 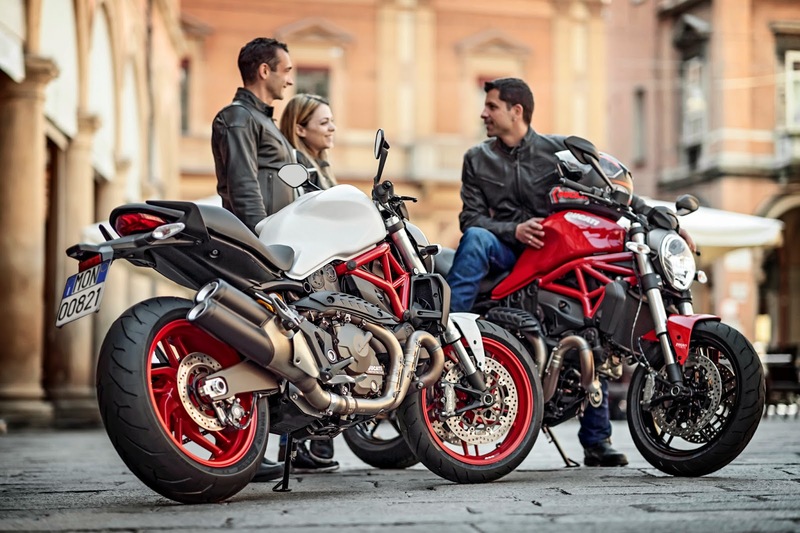 Powered by the latest edition of Ducati’s highly successful 821 Testastretta 11° engine, the highly accessible new Monster combines 112hp and 65.9ft-lb of torque with an impressively lightweight 179.5kg – 395.7lb (dry weight) overall package. This stylish mix of minimalism and performance paves the way back to the original essence of the Monster concept, where less-is-more and made-in-Italy combine to create a motorcycle lifestyle. High-spec brakes, excellent suspension and stylish componentry merge with Ducati’s best-yet ergonomics to offer the Italian manufacturer’s most attractive mid-range Monster ever. Super comfortable and with an innovative adjustable seat height, the model also combines 8-level traction control, 3-level ABS and 3-level Ride-by-Wire into Ducati’s user-friendly, press-button Riding Modes. The Monster 821 uses next generation technologies to create an enhanced rider/motorcycle relationship, delivering a high-adrenaline experience while constantly reassuring with the feeling of complete control and ergonomic integration. Available in Ducati Dealerships from July 2014 onwards, the Monster 821 Dark is presented in dark stealth with black frame and black wheels, while the Monster 821 is dressed in Ducati red with red frame and black wheels or star white silk with red frame and matte red wheels. Both red and white liveries are equipped with colour-matched single-seat covers. The brand new model is also made available to restricted license holders with the specially regulated power versions of 25kw for Switzerland and 35kw for other participating countries. The aspirations of BMW Motorrad with regard to future generations of boxer-powered roadsters take concrete, emotionally charged shape at the Concorso d’Eleganza Villa d’Este 2014 in the form of the BMW Concept Roadster. 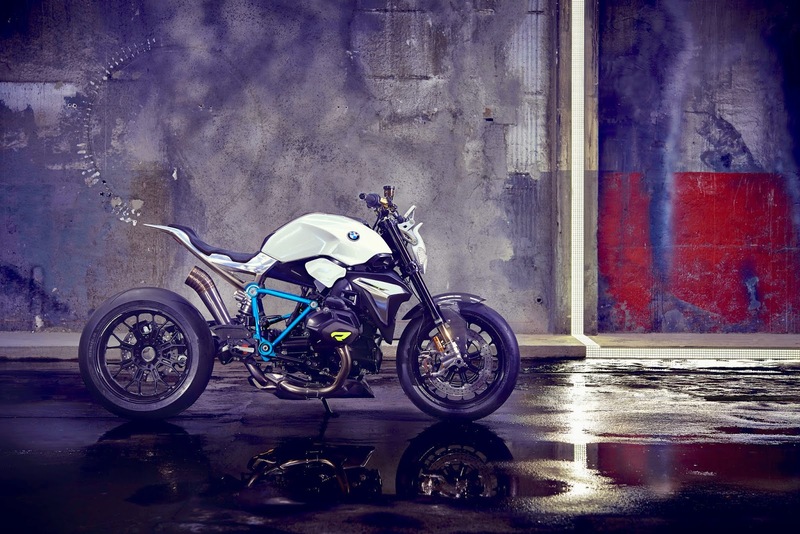 Last year BMW Motorrad presented the BMW Concept Ninety here - a modern interpretation of a classic BMW motorcycle with boxer engine that demonstrated just how emotional a retrospective on 90 years of BMW Motorrad can be. 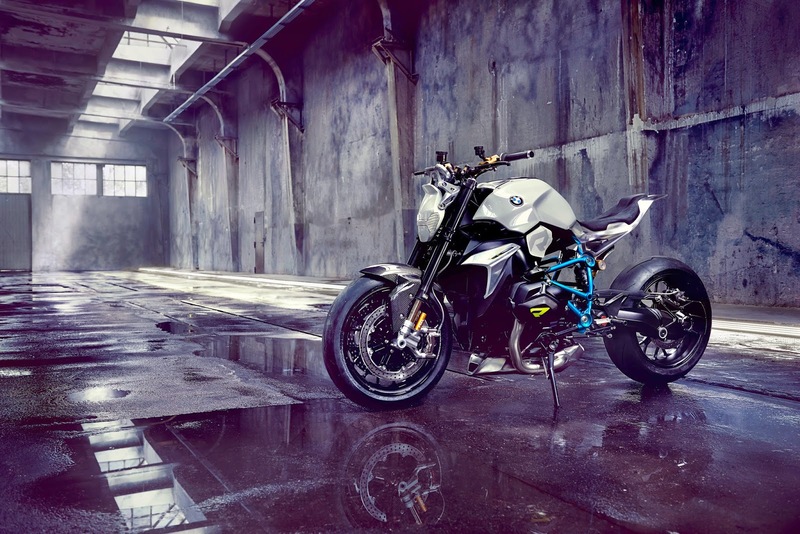 "By contrast, the contemporary emotional appeal of the BMW Concept Roadster shows that, as far as BMW is concerned, motorcycling is much more than just perfect function," explains Edgar Heinrich, Head of BMW Motorrad Design. Classic values interpreted in modern style. The BMW Concept Roadster is a typical BMW roadster with a powerful 2-cylinder boxer engine, single-sided swing arm with cardan drive and a light tubular space frame. It interprets these classic elements in the most state-of-the-art, dynamic form. 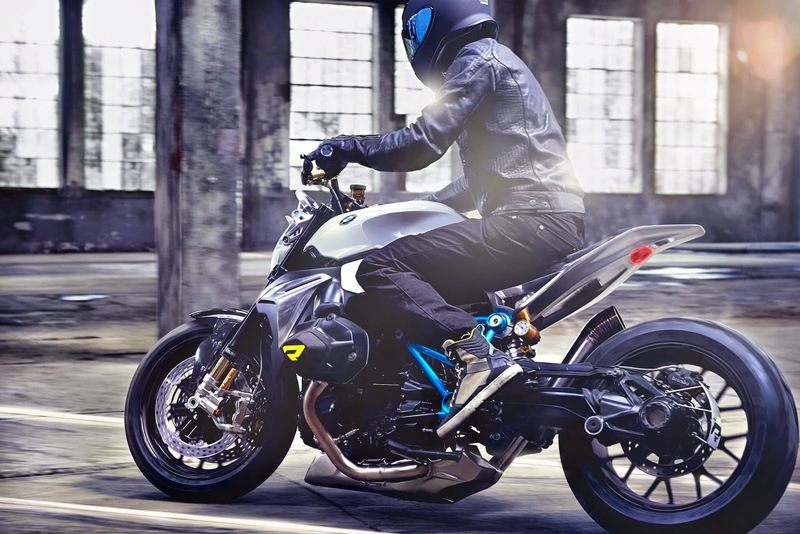 "The BMW Concept Roadster is exciting to look and at least as exciting to ride," says Ola Stenegard, Head of Vehicle Design BMW Motorrad, of the BMW Concept Roadster. The BMW boxer engine has always promised impressive performance and supreme power delivery across the entire engine speed range. In its latest generation it generates 92 kW (125 bhp) at 7,750 rpm from 1,170 cc with a maximum torque of 125 Nm at 6,500 rpm. The engine is also visually mid-point of the BMW Concept Roadster. The compact proportions with low front and high rear form a wedge-shaped silhouette around it which accelerates the bike even when stationary. The crouching posture with a powerful focus on the front wheel and the very short rear promise agile, light-footed handling. Split colouring makes for a visual separation of the dark engine area below and the light seating area above with the fuel tank and rear section. The dark bottom section moves the BMW Concept Roadster visually closer to the road surface, thereby emphasising a road-oriented riding experience. Meanwhile the lighter coloured upper section conveys lightness and a low visual centre of gravity. The headlamp presents a modern, dynamic interpretation of the classic circular headlamp. Matted LED light banks in full LED technology shape the distinctive "face" of the BMW Concept Roadster, giving it an extremely technical look. What is more, the LED technology makes the headlamp mask flat and very light-looking from the side perspective. Behind it, a reduced instrument panel provides all the relevant information in exclusive, high-end style. The interplay between the fuel tank, seat and radiator is modelled to perfection in flowing style. The experienced hands of the BMW modellers have given the surfaces an emotional quality that no computer would be capable of recreating. The surfaces provide a detailed reflection of the characteristics of the BMW Concept Roadster: the sculpturally designed fuel tank in Sparkling Light White expresses the forward-looking orientation and dynamic performance of the BMW Concept Roadster with its precise modelling. Its shape also provides an ergonomically perfect knee grip for optimum handling. A cover made of matted stainless steel adds a high-end yet robust accentuation at the centre of the fuel tank. Light and finely wrought - the aluminium rear. A striking highlight develops out of the fuel tank: the steep rear section made of gloss milled aluminium. The self-supporting rear structure is fashioned from a single piece, thereby enabling a very reduced and finely wrought rear element. The deliberately visible milling marks create a rough, almost industrial look which contrasts with the painted and anodised surfaces. The expressively modelled surfacing on the top and bottom of the rear element finely translates the emotional aspirations of the BMW Concept Roadster. The integrated single seat is borrowed visually from motor racing - a stylish interpretation of the bike's dynamic ambitions. Meanwhile a Neon Yellow accent in the lower area of the seat cushion adds a bold dash of colour contrast underneath the perforated Alcantara leather. 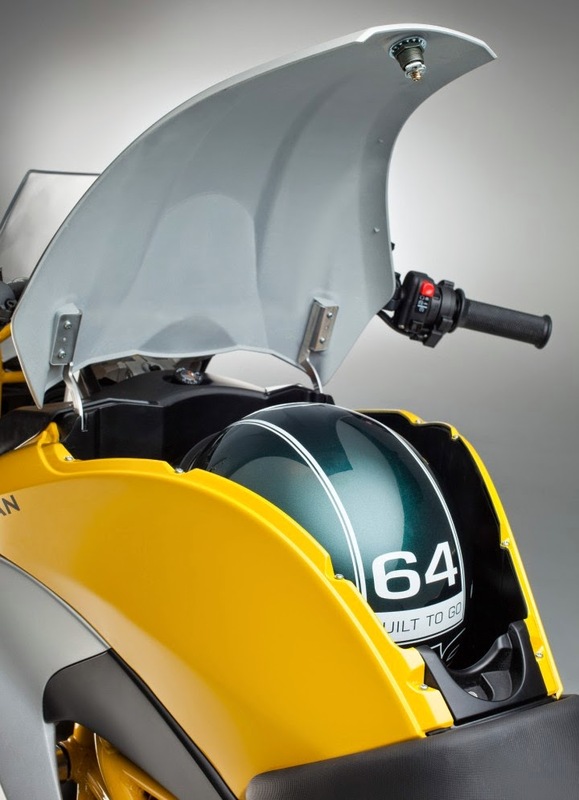 Additional colour accents in Neon Yellow are to be found on the valve covers and on the cooling ribs inside the air inlets of the side trim, further breaking up the overall view from the side. The tubular space frame provides a visual highlight as a load-bearing element in Sparkling Racing Blue, a highly expressive finish that lends a touch of modern sporty style to a traditional element of a boxer-powered BMW roadster. With the interplay of the typical BMW Motorrad white on the fuel tank along with the radiant blue, the tank and frame present a characteristic yet also contemporary interpretation of the traditional BMW Motorrad colours. In addition to the rear structure, there are other milled aluminium parts which underscore the technically sculptured look from the side perspective. The most prominent features here are the lateral air intakes. They are also made of gloss aluminium with milling marks and are shown to excellent effect against the black surfaces of the radiator. They trace a triangle open to the front which is formally based on the "gill" elements of the BMW supersports motorcycles. Performing the function of channelling air to the radiator, they also emphasise the dynamic gesture of the side. The cooling ribs in Neon Yellow inside them are only seen on closer inspection. One particular detail is the valve covers made of milled aluminium: their three-dimensional shaping lends a forward orientation to the fuel tank surfaces, giving the BMW boxer engine a highly athletic look. In addition, a protection pad on the valve covers indicates that the BMW Concept Roadster can and should be taken round bends at an extreme banking angle. Inspired by the knee pads of a racing suit, it gives the BMW Concept Roadster a touch of motor racing flair. An accent in Neon Yellow further underscores this radical element. Innovation in form and function - the engine spoiler. Form and function are innovatively combined in the future-oriented engine spoiler. In the BMW Concept Roadster, it not only performs an aerodynamic function but also incorporates the entire front silencer. Along with the short, steep tailpipe of the exhaust system, the engine spoiler concentrates form and function around the engine. In doing so it emphasises the compact, dynamic statement of the side as well as the short rear. Over and above the high-end milled parts, the BMW Concept Roadster comprises nothing but the very best quality high-performance components. The fork tubes, rear shock absorber and brakes are elegantly set apart by their anodized colouring, giving the BMW Concept Roadster an exclusive touch of sporty flair. The Off Road racing season is FINALLY HERE! The long, long cold winter followed by the cold, wet spring has made the end of May seem like a year away. However it has finally arrived and with it the start of the highly anticipated 2014 Royal Distributing Canadian Cross Country Championship. Round #1 of the CXCC East kicks off this Sunday at historic Motopark in Chatsworth, ON. The long term forcasts are calling for warm sunny weather all weekend. Couple that with perfect soil conditions and a new course design and we have all the makin’s for an epic race weekend. Just a reminder to all our racers – this year you will NOT require a CMRC license to compete at any of our Ontario events. There will be a one time $25 WEC registration fee payable at sign in only. Race fees for 2014 will be $50 for adults and $30 for kids. Sherco Canada will be on hand with a few of thier 2014 models available for demo rides. Come out and see the exciting new off road and trials bikes they have to offer. Similar to previous seasons we are looking for any adult riders who are interested in helping out as course marshalls. If you have friends who are not into racing but want to ride this is a great way for them to get out on thier motorcycle and have the best seats in the house for all the racing action. The Motorcycle and Moped Industry Council (MMIC) has reported that Triumph is the top-selling and fastest-growing European motorcycle brand in Canada from January through March 2014. 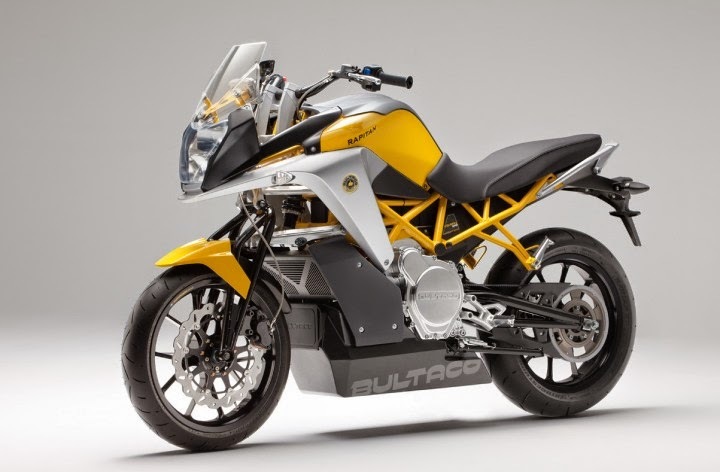 Bultaco is back. The Spanish marque were popular from the 50's through the 70's but by the 80's they had gone out of business. Back then, trials bikes, enduros, and scramblers were the sort of thing you could expect. 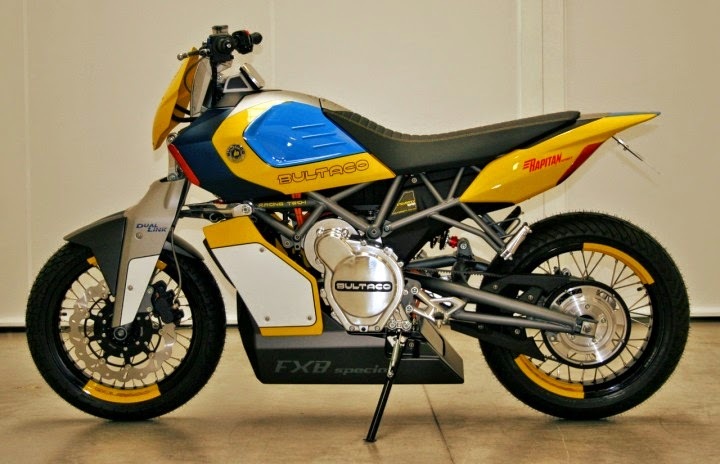 Cue 2014 - the Spanish firm is coming out with a couple of electric motorcycles. Both are powered by PowerCore MK1 air-cooled brushless moto electric motors, making around 53 horsepower with a pretty impressive torque figure of 92lbft. Dubbed the Raptian and Raptian Sport they've got a top speed of 90 MPH and a recharge time between three-and-a-half and five hours with a range of 124 miles in the city and 68 miles on the highway. Weight is 189 KG. Look for a 2015 release date. Doubtful they'll be in Canada. Nice looking bikes if you ask us though. Electric bikes are coming! SpeedMob, Inc. announces that it has purchased the operating assets and majority of inventory of Geared Up Powersports, LLC (DBA LeoVince USA). SpeedMob, Inc. will take over distribution of most of the brands previously carried by Geared Up Powersports. LeoVince exhaust and carbon fiber will not be sold or serviced by SpeedMob, Inc., and more news regarding the brands carried by SpeedMob is expected in coming weeks. SpeedMob, Inc. will officially begin doing business on Monday, May 19, 2014. Current dealers will be able to continue purchasing products from Airoh Helmets, TechSpec, BMC and other brands now carried by SpeedMob, Inc. with uninterrupted service. Maximum Power When It Counts: Win the holeshot with 3 modes, including off, that match the engine’s power delivery to diverse starting conditions for maximum control. Perfect for smooth and controlled launches on less than ideal surfaces Increased throttle response and stronger acceleration. In A-Mode, the ignition timing is altered to prevent wheel slip. After 1.2 seconds, or when you reach third gear, the system shuts off and returns to normal ignition timing. In A-Mode the indicator light flashes slowly. In B-Mode the indicator light flashes quickly. The SFF-AIR is 2.5 pounds lighter than spring forks with three micro-adjustable air chambers. Riders can adjust the air pressure trackside with a simple hand pump using each chamber’s separate and easily accessible air valve. Complicated, expensive spring changes are history. Inner Air Chamber - Main suspension reaction force. Outer Air Chamber - Supports the main reaction force. Quicker Damper Response - Adjust the damper in 13-ways, and compression in 8-ways. Damper size is increased, which results in quicker damper response. The 2015 RM-Z450 delivers easier starting, a more consistent launch off the line, and a smoother spread of torque and horsepower for podium finishes all season long. This time around the RM-Z450’s frame is lighter with increased handling in the corners and a plusher ride from start to finish. Suzuki was the first to develop fuel-injection on the worldwide motocross circuit, and the 2015 RM-Z450 continues this legacy of innovation with its EFI Coupler System. Make the most of any track conditions by running richer or leaner with the choice of two fuel-setting couplers for precise throttle response. Crafted Exhaust Muffler - New inner pipe meets the AMA’s strict 115dB sound level standard in the U.S.
Renthal Fat Bar - Braceless tapered aluminum is built for strength and flexibility. Excel Aluminum Rims - Built for durability and strength. 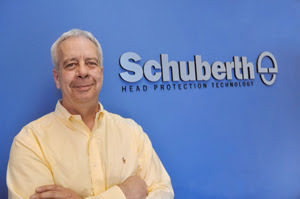 Schuberth North America has hired motorcycle industry veteran Peter Meade as the new National Sales Manager. Meade has over 25 years of experience as a retail executive working both in and outside of the motorcycle industry, and has enjoyed successful dealer-vendor relationships while managing one of the top ten BMW motorcycle dealers in the country. Meade is a lifelong motorcyclist, having owned motorcycles from numerous brands over the years including BMW and Ducati. After gaining experience in apparel retail with large national brands like Ralph Lauren and the Limited Brands, Meade pursued his passion and brought his sales and merchandising talents to the motorcycle business. Meade spent 5 ½ years as the general manager of parts, accessories, apparel and internet development at Bob’s BMW in Jessup, Maryland, one of the top ten BMW dealers in America. He will draw on this experience to not only develop sales programs but to work with Schuberth dealers throughout North America. 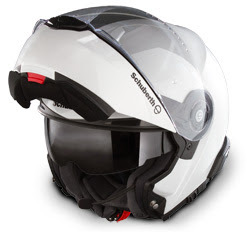 See the Schuberth website to learn more about the company and its products. Be sure to like Schuberth on facebook, twitter and instagram to get the latest company news, product highlights, and information regarding special promotions and sales. We're pretty excited about this!! On Any Sunday - The Next Chapter is coming to theatres. Hopefully to Canada is all we can say! Full Details below - check out the video below as well. Make sure you watch it in High Definition and turn it up! When On Any Sunday premiered in 1971, it wasn't just any movie. Directed by Bruce Brown -- who also helmed surfing classic The Endless Summer -- this insider look at motorcycle racing reached a wide audience that was fascinated by the heartfelt stories of real-life riders, earning an Academy Award nomination for Best Documentary Feature. Four decades later, On Any Sunday: The Next Chapter shows that the passion for riding motorcycles is as strong as ever. Bruce's son, acclaimed filmmaker Dana Brown, directs this modern take on the original, capturing what it means to ride in the United States and globally. Shot in 4K Ultra HD, the action and emotion are breathtaking: phenomenal athletes, revolutionary innovators, Hollywood stars and even visionaries who use moto to save lives. On Any Sunday: The Next Chapter journeys deeper into the humanity and excitement of motorcycle culture across disciplines -- the passion for the race, the love of family and friends, and the thrill of the ride. The folks at RevZilla have a handy 2014 Tire Buying Guide video they've posted. There's lots of useful information packed into a short video. Great stuff if you're in the market for some new tires. BMW Motorrad continues to see double-digit growth and achieves new all-time high in April. Once again the most successful month in the company's history. After achieving record sales during the first quarter of 2014, BMW Motorrad remains firmly on course for success. In April, 16,344 (prev. yr.: 14,587 units) motorcycles and maxi scooters were supplied to customers worldwide. This represents an increase of 12.0% or 1,757 units as compared to April 2013. April 2014 is thus the most successful month ever in the history of the company. All in all, BMW Motorrad has supplied 45,063 (prev. yr.: 39,319 units) vehicles to customers since the beginning of the year. This means that as of April, sales have exceeded the equivalent period of the previous year by 14.6 % or 5,744 vehicles. Heiner Faust, BMW Motorrad Head of Sales and Marketing: "With growth of 12.0% in April and 14.6% for the period up to April, we have been able to build very successfully on the momentum of an excellent season start. We have seen double-digit growth every month since the start of the year. Sales results in April even surpassed the existing record of March, making it the best month ever for BMW Motorrad." This excellent sales increase has been achieved on the basis of ongoing stable market developments worldwide. In Europe (not including Germany) BMW Motorrad had supplied 2,841 vehicles more as of April than in the first four months of the previous year. In Germany, sales are 672 units above the previous year's level. BMW Motorrad is also seeing impressive growth in the USA and Asia. As expected, the new R 1200 GS remains the top-selling model with 9,826 units sold. 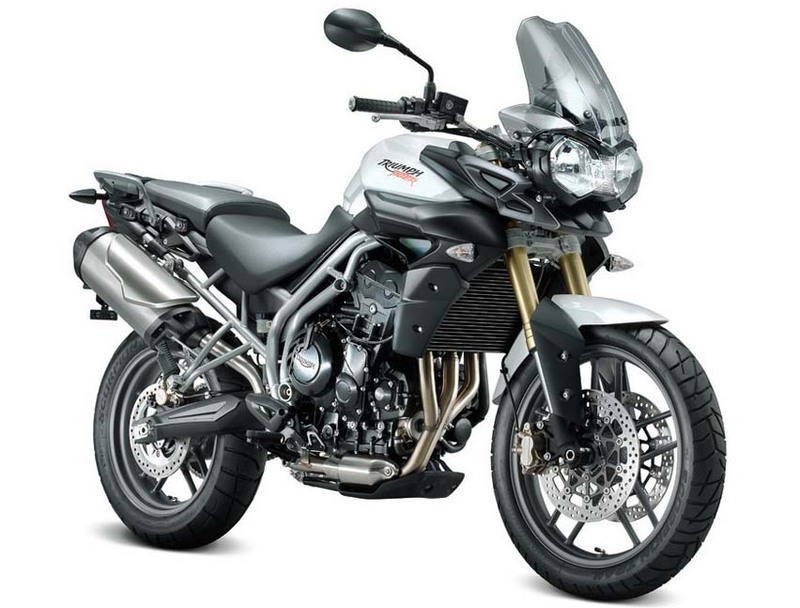 The new R 1200 GS Adventure (5,440 units as of April), the new R 1200 RT (3,760 units as of April) and the newcomers in the BMW model program R nineT (2,024 units as of April) and S 1000 R (1,679 as of April) are likewise seeing very strong demand. Heiner Faust comments: "The excellent sales results mean we are very confident in terms of how the season will develop. Demand for our newly launched Boxer and S series models is especially pleasing. 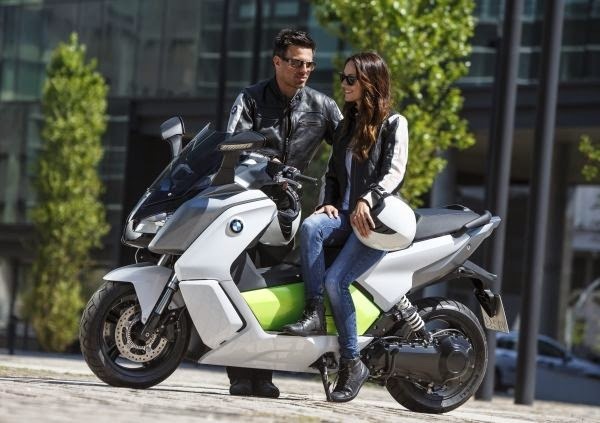 We started supplying the BMW C evolution on May 2nd 2014. After initial test rides, the world's first electrically powered maxi scooter in the premium segment has received excellent reviews from the media, so now we are very much looking forward to the response of our customers in Europe." Take a break from the rat race on June 22-23 to join the thousands of Harley-Davidson motorcycle riders around the world who are shedding the shackles of responsibility and hitting the open road during the Harley-Davidson World Ride. Launched in 2008 by the Harley Owners Group as Million Mile Monday, the annual riding event was expanded into the two-day Harley-Davidson World Ride in 2012 to give more riders worldwide an opportunity to participate. In 2012, participants logged 7.7 million miles, but last year as riders celebrated the 110th Anniversary of the Harley-Davidson Motor Company and the 30th Anniversary of H.O.G., riders from 66 countries blitzed that record by more than 25 per cent, tallying an official total of more than 10 million miles. Riders logged their miles solo, in groups large and small, and through a variety of dealer-lead events around the world, united by their shared passion for motorcycling. Whether it’s across town, cross-country, or anything in between, every mile counts and can be recorded by logging into the Harley-Davidson online mileage accumulator at h-d.com/worldride, where a rolling odometer will record the collective distance travelled by all participants in the World Ride. “Every mile we ride together strengthens the bonds between riders and showcases to the world the powerful expression of freedom the World Ride represents,” Villiers said. New for 2014, ride participants can also log their post-ride mileage directly onto the World Ride website from mobile devices and share their riding stories and photographs on social media sites like Facebook and Twitter using the hashtag #HDworldride. Participants can also download a certificate of participation after logging their mileage on the World Ride website. To learn more about the Harley-Davidson World Ride, visit h-d.com/worldride. Schuberth unveiled the new C3 Pro Women “Euphoria” at the Steel Horse Sisterhood Summit. The new “Euphoria” finish adds a subtle flare of color and feminine style to Schuberth’s premium flip-up helmet. The C3 Pro Women was engineered specifically for women, with specially contoured interior fit and special materials. Aliso Viejo, Calif. - May 7, 2014 - Schuberth unveiled the newest addition to their line of premier flip-up helmets this past weekend at the Steel Horse Sisterhood Summit in Denver, CO. The new C3 Pro Women “Euphoria” adds a subtle flare of color and feminine style to the German manufacturer’s premium flip-up helmet for women. "The primary feature of the premium C3 Pro Women helmet, like its C3W base model, is that it has been specially developed to better fit women riders," reports Sarah Schilke, Schuberth North America's Marketing and P.R. Manager. 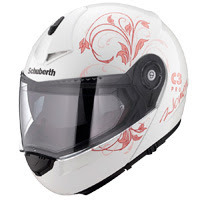 "The Euphoria’s flowing, flowery design is a departure from Schuberth's usual solid color offerings and was added in response to inquiries from women riders who wanted a traditionally feminine look on a helmet that also provides optimum fit, comfort and safety." The result of over 60 years of helmet design and development, the C3 PRO Women, and its counterpart the C3 PRO, are the next generation of Schuberth's popular C3 and C3W flip-up helmets and offer many new features such as enhanced comfort and fit, increased ventilation, improved aerodynamics and an internal antenna for the Bluetooth Schuberth Rider Communication System. The C3 Pro Women is specially fitted for the female facial structure and the removeable lining is comprised of softer material that is anti-microbial, hypo-allergenic and comfortable on sensitive skin. The Schuberth C3Pro Women in “Euphoria” finish is now available throughout North America at authorized Schuberth dealers. For more information about the C3Pro Women, including a complete list of available graphics and colors, visit SchuberthNorthAmerica.com. Ducati's 1199 Superleggera is a top-of-the-line superbike being produced as a limited edition of 500 units. Reported to cost $70,000 here in Canada! Things look pretty good at the motorcycle division of BMW in terms of financials. They're setting records! What's this about a mild winter in Europe?! Not in Canada my friends - it was 2 degrees on the ride to the office this morning! The Motorcycles segment benefited greatly from the mild winter in Europe, which effectively brought forward the start of the motorcycling season. First-quarter revenues rose by 8.3% to € 472 million (2013: € 436 million). EBIT jumped by 25.5% to € 64 million (2013: € 51 million) and profit before tax by 26.0% to € 63 million (2013: € 50 million). At both levels, these figures represented the best quarterly earnings performance in the history of the Motorcycles segment. A new sales volume record was also set for the three-month period from January to March, with 28,719 units sold (2013: 24,732 units; +16.1%). The new R nineT, S 1000 R, R 1200 RT and K 1600 GTL Exclusive models presented the previous autumn were all launched in time for the start of the season in March. The C evolution electric scooter will make its appearance in dealership showrooms from May onwards. 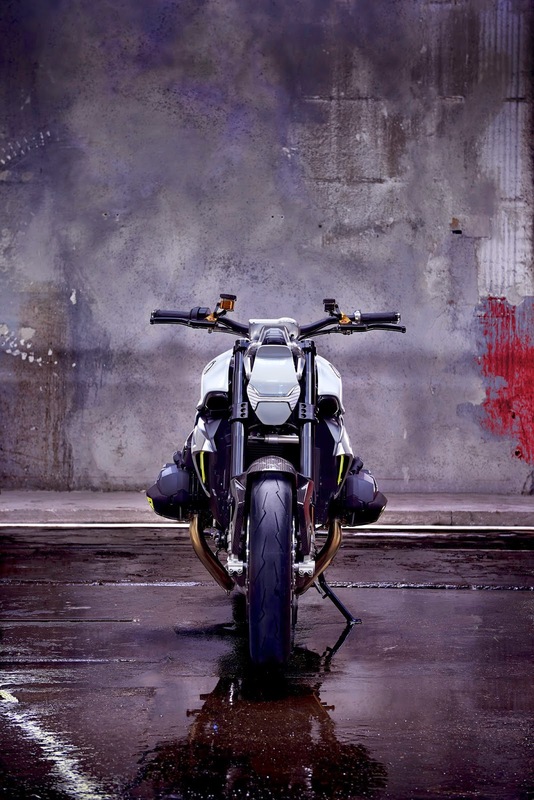 The arrival of the new C evolution marks the start of a new chapter in the urban mobility segment for BMW Motorrad. The two conventionally powered maxi scooter models – the C 600 Sport and C 650 GT – already succeed in combining the superb ride qualities of a motorcycle with the specific agility of a scooter and the design’s inherent comfort. The new electrically powered C evolution now goes even further by fusing riding fun and dynamism with the benefits of zero-emission performance to create a whole new experience on two wheels. In keeping with the BMW Group’s sustainability strategy, BMW Motorrad is taking a fully committed approach to electric mobility. As with BMW i, development of the C evolution revolved around creating a visionary vehicle concept offering maximum everyday practicality and an inspirational design. Powerful drive unit with liquid-cooled electric motor and air-cooled high-voltage battery. Range of 100 kilometres (62 miles) under practical conditions. The C evolution is powered by a drivetrain swing arm with liquid-cooled permanent magnet synchronous motor via a toothed belt and ring gearing. The rated power output is 11 kW (15 hp), with a peak output of 35 kW (47 hp). This enables the C evolution to achieve a top speed of 120 km/h (75 mph, electronically limited) and gives it better acceleration than some maxi scooters powered by engines with displacements of 600 cc or more. The generous 8 kWh capacity of the air-cooled lithium-ion high-voltage battery allows the two-wheeler to cover a range of up to 100 kilometres (62 miles) before it needs to be charged from any domestic mains supply. When plugged in to a standard 220V domestic socket with a 12A charge current, recharging fully from empty takes around 4 hours (with 220V / 16A = 3 h). Intelligent recuperation and four ride modes ensure riding fun as well as efficiency. BMW Motorrad has opted for a form of energy regeneration for the C evolution that has never been seen before on a single-track vehicle. Recuperation takes place automatically both when coasting with the throttle closed and when braking. Riders of the C evolution can set their preferred mix of dynamic performance and efficiency by selecting from the four ride modes. In Road mode, for instance, they have at their disposal maximum acceleration, approximately 50 per cent energy regeneration when coasting and full regeneration when braking. In Eco Pro mode, meanwhile, acceleration and therefore energy consumption are restricted, while the maximum possible amount of energy is recuperated. Sail mode suppresses recuperation while coasting, allowing the C evolution to glide along virtually free of any braking effect when the throttle is released. And for an added touch of dynamism, Dynamic mode combines full accelerating power with a high degree of recuperation. Supreme safety thanks to synergies with BMW Automobile. As part of the BMW Group, BMW Motorrad was able to harness synergies with BMW Automobile during development of the C evolution. 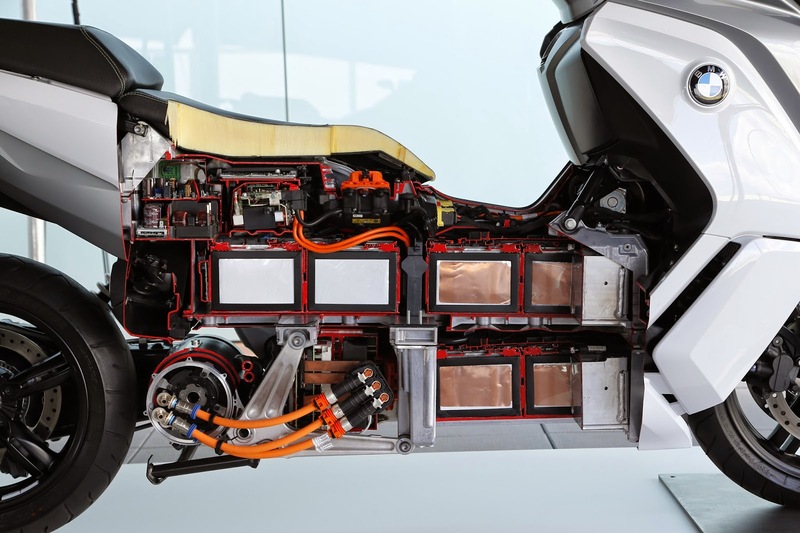 Besides adopting the same energy storage modules and electronic componentry used in the BMW i3, this was particularly beneficial for electrical safety, which is to passenger car standard. The C evolution is the first electrically powered two-wheeler to meet the ISO 26262 standard for functional safety and the ECE R100 standard governing high-voltage safety, both of which have been ratified by the leading carmakers. As far as the chassis is concerned, the C evolution no longer has a main frame in the conventional sense. The central component here is the battery casing made from diecast aluminium, which has a steering head support made from steel tubing attached to it at the front and, at the rear, the single-sided swing arm as well as a rear frame, also made from steel tubing. The task of wheel suspension and damping is performed by an upside-down telehydraulic fork at the front and a spring strut mounted on the left at the rear. As on all vehicles from BMW Motorrad, the C evolution comes equipped with safety-boosting ABS together with powerful disc brakes as standard. Torque Control Assist (TCA) for superior traction control. 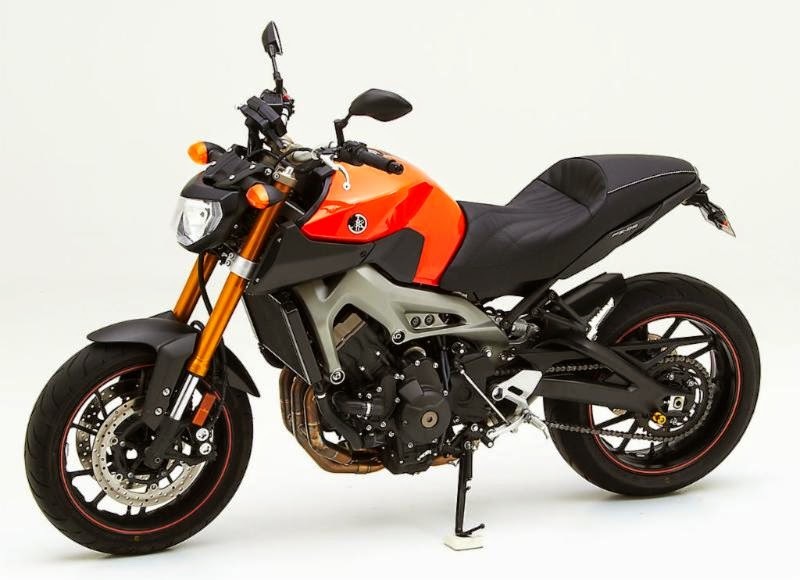 The new C evolution is available with Torque Control Assist (TCA), which works in a similar way to the Automatic Stability Control feature on BMW motorcycles with combustion engines. TCA limits the motor’s torque depending on the slip at the rear wheel. To ensure optimum controllability of the drive torque for the rider, the electric motor’s control electronics monitor the rear wheel speed and reduce the drive torque if a certain plausibility threshold is exceeded. TCA is a particularly useful aid for the rider when starting off and prevents uncontrolled spinning of the rear wheel on road surfaces with reduced grip (e.g. wet cobblestones). The Torque Control Assist additionally serves to stop the rear wheel from skidding when a sharp rate of recuperation produces a correspondingly high level of drag torque, especially on slippery road surfaces. Large TFT colour display and LED daytime running light. A host of other features further underline the innovative character of the C evolution. It is equipped with a reversing aid, for instance, that enables easy manoeuvring at walking pace. There is also a first in the form of an LED daytime running light, which additionally dims to double as the sidelight. And for added comfort on cold days, there are heated handlebar grips. 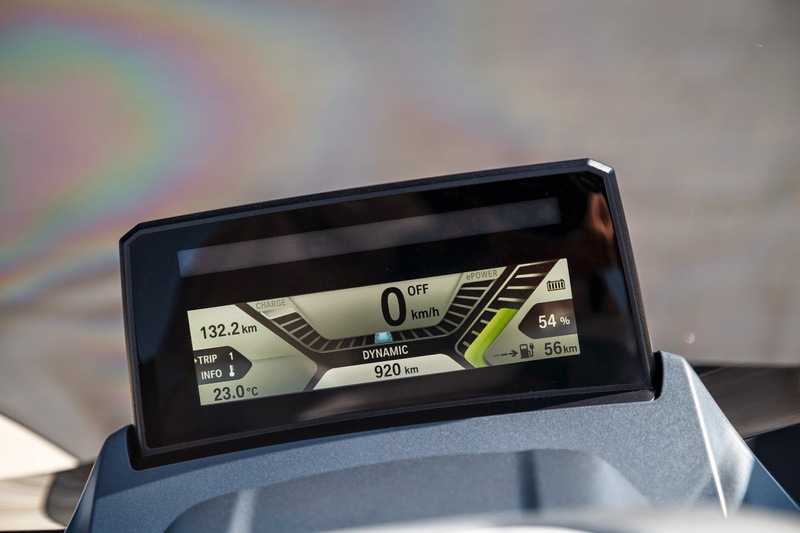 A large TFT colour display in the instrument cluster offers a wealth of information. Apart from the current speed, the rider is also kept informed of data such as the average consumption in kWh/100 km, total power consumption, battery charge status in kWh, average speed, voltage of the on-board electrical system and the high-voltage system, as well as the remaining range in kilometres taking into account the selected ride mode. A bar graph furthermore indicates the current level of energy draw or regeneration. Last but not least, the C evolution also charts new territory in terms of styling and colour scheme. Design-wise, the C evolution fits harmoniously into the BMW Motorrad family, while the colour combination of Light White non-metallic and Electric Green symbolises its ability to blend maximum eco-friendliness with superb dynamic performance. • Innovative electric drive system via drivetrain swing arm with liquid-cooled permanent magnet synchronous motor, toothed belt and ring gearing. • Rated power output 11 kW (homologated according to ECE R85) and 35 kW peak output. • Maximum torque 72 Nm (53 lb-ft). • Top speed 120 km/h (75 mph). • Acceleration 0 – 50 km/h (31 mph) in 2.7 s.
• Acceleration 0 – 100 km/h (62 mph) in 6.2 s.
• High range of 100 kilometres (62 miles) in practical operation. • 4 ride modes available to choose from: Road, Eco Pro, Sail and Dynamic. • Reversing aid for supremely easy manoeuvring. • Torque Control Assist (TCA). • High-voltage battery with high capacity of 8 kWh and innovative air cooling. • Intelligent recuperation when coasting and when braking. • Recharged from the domestic mains supply. • Takes just 4 h to charge to 100 % capacity at 220V / 12A (220V / 16A = 3 h). • Synergies with BMW Automobile harnessed during development. • Electrical safety to passenger car standards. • Hybrid chassis with agile handling due to low centre of gravity. • Powerful braking system with ABS. • Large TFT colour display. • LED daytime running light and sidelight. • Inspirational colour scheme and design. Mineral White is an exact match for BMW’s mineral white factory paint. Schuberth has introduced the new “Mineral White” finish for the C3Pro and C3Pro Women flip-up helmets. This simple yet beautiful new white color option perfectly matches BMW’s mineral white factory paint as seen on the new K 1600 GTL Exclusive. The C3Pro, and its fit-for-women counterpart the C3 Pro Women, are the result of over 60 years’ experience in developing the world’s most advanced helmets, combining improved comfort and fit, optimized aerodynamics and ventilation, and a compact construction making them quietest flip-up helmets available. Together the two helmets make a perfect two-up compliment for any motorcycle, especially the mineral white BMWs. 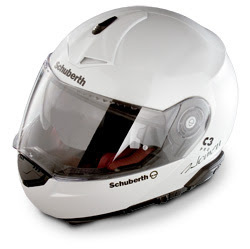 Developed in Schuberth’s proprietary acoustic wind tunnel for optimized aerodynamics, aeroacoustics and ventilation. Exceeds DOT and ECE standards. Pre-installed internal antenna enhances the optional Bluetooth(R) SRC-System which pairs wirelessly with intercom, phone, MP3 and GPS. The new colorway, “Mineral White,” perfectly matches the BMW “Exclusive” factory paint. The Schuberth C3Pro and C3Pro Women helmets in Mineral White are available throughout the USA at authorized Schuberth dealers. For more information about the C3 Pro and C3 Pro Women helmets, including a complete list of available graphics and colors, visit SchuberthNorthAmerica.com.